If you underwent hip replacement surgery and you received a metal-on-metal hip implant, you may have needed (or will need) multiple revision surgeries. You may have suffered from metallosis or other medical complications. But ultimately, you may have needed (or will need) a new hip implant because your first one failed. You may not even be aware of the type of implant you received, but if you're experiencing a lot of medical problems related to your hip replacement surgery, you may have a metal-on-metal hip implant. Check your records or contact your doctor to find out for sure. Then, contact Edgar Snyder & Associates for a free legal consultation. You may have a case. Learn your legal options today, because you may deserve compensation for your medical bills and hip implant failure. How Common is Metal-on-Metal Hip Implant Failure? Metal-on-metal hip implants, which have ball and socket parts made of metal, are one of the most common types of implants. More than 250,000 patients have hip replacement surgeries every year, and nearly one-third are metal-on-metal hip implants. 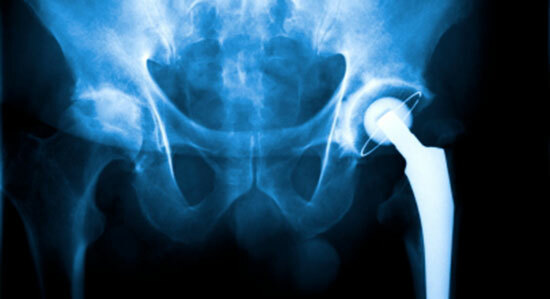 Studies have shown a high failure rate with metal-on-metal hip implants – as high as 30 percent. In fact, DePuy Orthopedics recalled its ASR XL Acetabular Hip System and the ASR Hip Resurfacing System in August 2010, after a study from the National Joint Registry found the two products were associated with high failure rates. According to research, one out of every eight patients will need a second hip replacement surgery to fix the first one within five years.